Internships at Entrepreneurs That SOAR! I started this virtual internship program at my company Entrepreneurs That SOAR! in 2012 because I really wanted to "pay it forward!" I wanted to inspire, empower and help the next generation of entrepreneurs and thought leaders equipped with my own real world experience. I have had the honor and privilege working with some of the most innovative young minds and future leaders of tomorrow. I am the blessed one! I’d prefer to teach someone to fish instead of giving him or her a fish. Because with one fish, you only survive one meal. But when you have the "know how" on how to fish, then you can have thrive longer. 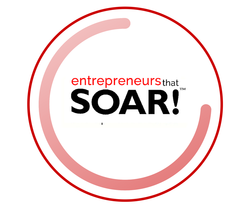 Entrepreneurs That SOAR! offers year round internships to undergraduates, graduate students, recent graduates, and any individual who is serious enough to learn how to develop 21st. century real world skill sets that they can use their careers. Internships are part time and almost all work are accomplished virtually. Therefore, location is not of the utmost importance. We have worked with global talents in various Public Relations, Digital Marketing, Content Marketing, Social Media, Video Productions, Human Resources, and even customized some positions to fit the talent's needs. Selection is made on the basis of your interest, passion, motivation, and enthusiasm for our company's message, mission, and programs. Yes, you may not need to know everything but your ability to contribute and, your commitment to gaining a meaningful work experience have heavier weight in our decision. This is a "hands on learning" internship not only focuses on your educational skills but also will help you develop the soft skills that companies look for in their talents. So what is a virtual internship? Do you have qualities that companies look for? These are some of the internship positions that we offer year round at SOAR. Please see additional positions listed below. NOTE: Our internship positions primarily revolve around Marketing, PR, Communications, and Talent Management. If you do not see a specific internship position that you're interested in, please send us your inquiry along with your application. We would be happy to help design a position that would help you achieve your goals. Your applications must include a cover letter (explaining why you would like to work for us) and resume. The internship program is available year round. Interns work part-time with a minimum of 10 hours to a maximum of 20 hours per week (most work done virtually and in one-on-one or group sessions. Local interns within a 60 minutes drive to New Haven, Connecticut may be required to have "in person meetings" monthly). Anyone who is looking to add value to their resume based on their interests and existing skills, and can be applied towards entrepreneurship. Possess skills at initiating innovative ideas, unifying team members, and judging correctly what will appeal to target audiences. Prefer challenges that involve communication, are people-oriented, promote networking and socializing, and include roles that call for imagination. team players with great energy! Please use this contact form for internship questions only. Thank you.